Wednesday at the Volvo Car Open in Charleston will feature 14 second round matches, all of them to be streamed across TennisTV and Stre.am. 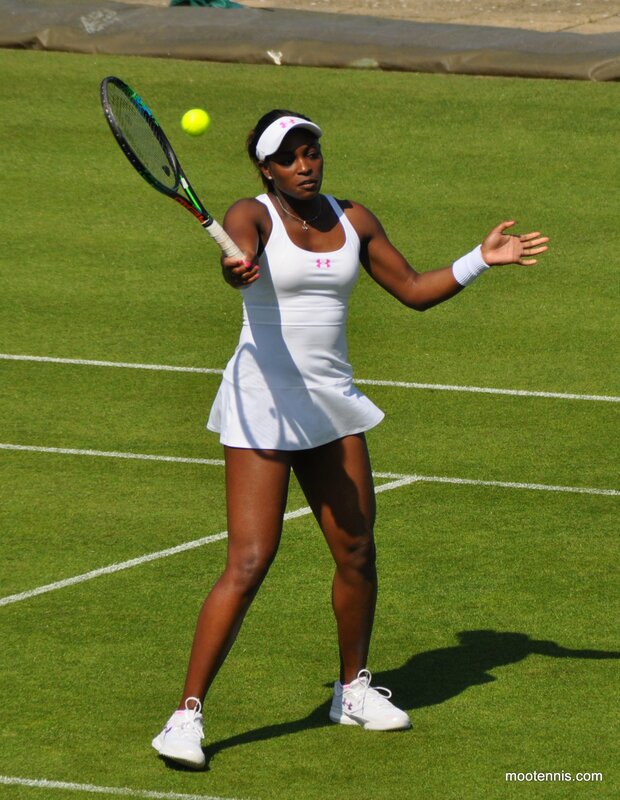 This particular post covers two matches; Sloane Stephens v Danka Kovinic and Venus Williams v Alison Riske. For a full recap of day 1 action in Charleston, click HERE. Sloane Stephens faces a potentially tricky opener in Charleston when she plays last year’s surprise quarter-finalist, Danka Kovinic. While Stephens had a bye, Kovinic won her first round match comfortably, defeating the qualifier, Cagla Buyukakcay, 6-1 6-3. It’s possible that Buyukakcay was fatigued having played her third match in as many days (and having saved match points in a brutal three hour and seven minute qualifying opener) but Kovinic played an excellent match, dictating play and looking very comfortable on this surface. For Stephens, she will want to swipe away memories from her last match in Miami where she suffered a 3-6 0-6 loss to Heather Watson. Stephens’ record this year has been pretty extraordinary; the two times she has won matches in a WTA tournament, she has gone on to win the title. Elsewhere though, she has been unable to get past the first round. Head-to-head record: This will be a first career match-up between the pair. Interesting stat: In five previous visits to the tournament, Stephens has never made it past the second round of Charleston. Final thoughts: This will be a tough test for Stephens against a player who has had a match to get used to the court and conditions in Charleston. Kovinic has a competent game, spearheaded by a decent serve. Stephens will remain the favourite but i’d give Kovinic a real shot at claiming her first top 30 win on the WTA tour. Much like Sloane Stephens, it has been all or nothing for Venus Williams in 2016. She won the International tournament in Kaohsiung at the start of February but hasn’t won a match anywhere else on the WTA tour in 2016. First up for Venus in Charleston will be an all-American match-up against Alison Riske. The 25-year-old defeated Frances Altick in the first round, 6-3 6-2. It was Altick’s first ever match on the WTA tour and she put up a valiant effort in the first set, winning three games on the trot from 0-5 to 3-5 and saving four set points before Riske bagged the opener. 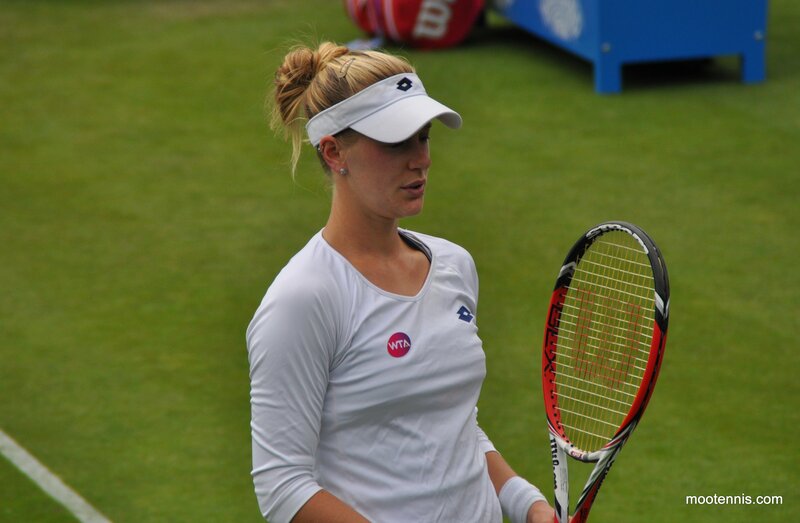 Interesting stat: Riske’s victory over Altick was her first ever victory in Charleston having previously gone 0-7 with four losses in main draw action and three losses through qualifying. Final thoughts: Venus is certainly vulnerable at the moment and despite battling hard as ever, has seemingly struggled with a leg injury through parts of the year. Still, she sounded very positive in press and wouldn’t be here if she wasn’t up for it. I don’t think either player is at their best on this surface but Venus has enjoyed recent success at this tournament. Going with that trusty (!) feeling again that Venus will edge it in straights..
April 5, 2016 in Charleston, Kovinic, Riske, Stephens, Venus, WTA. Why don’t you write something about Lucie Safarova? I know she is not quite ready yet but at least for her fans is ok if she is losing. I’d love to have written about Lucie, but didn’t have time last night. We need to gather positive forces to boost her up (she may read your articles). I hope she beats Chirico though I know it may be too early to ask from her. Louisa wins 6-3, 6-3. Well done Louisa, but poor Lucie 😦 It was a match I believe she should have won. Yeah, I thought Lucie had a shot. I watched most of the match, Lucie is a few steps slow and that has a huge impact on all facets of her game. I still believe Lucie can turn it around but it will take time. Louisa played a good match, liked what I saw last year and now she’s getting over her injury from the start of the year, will be one to watch going forward.